Mt. Greenwood Areas Served | Mancari's Chrysler Dodge Jeep RAM, Inc. If your ready to ride into the future and fulfill all of life’s demands with the perfect Chrysler Dodge Jeep Ram car, hatchback, truck or SUV, consider Mancari’s of Oak Lawn as your dealer of choice! Not only is the Chrysler Dodge Jeep Ram dealer near Mt. 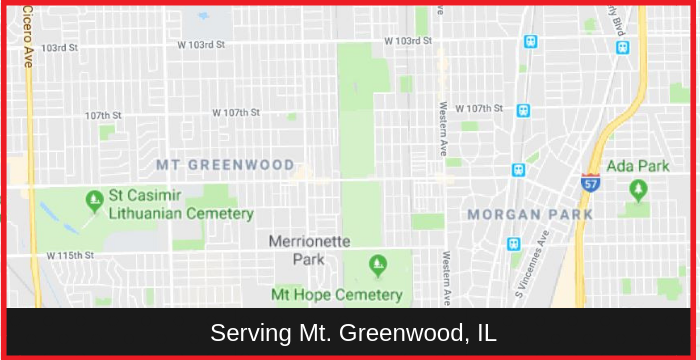 Greenwood, IL conveniently located at 4630 W 95th Street, Oak Lawn, IL, it’s also home to an extensive fleet of new and used Chrysler Dodge Jeep Ram vehicles for sale near Mt. Greenwood that you can buy for the ideal financing/leasing option and the best price! Learn more about the different Chrysler Dodge Jeep Ram cars available at Mancari’s of Oak Lawn and the potential savings and dealership solutions that you can enjoy by calling (833) 372-9600 today! Discover an assortment of Chrysler Dodge Jeep Ram cars for sale near Mt. Greenwood that’s ready to exceed all your driving needs and desires and meet your budget at Mancari’s of Oak Lawn! Is there a Chrysler Dodge Jeep Ram dealer near you who can help you drive home in the perfect ride? With the wide array of models and trims at our inventory, we are confident that you will find the best option that seamlessly suites your taste and lifestyle! If you’re looking for a modern ride that can cater the entire family in superb comfort, luxury, and safety, you will surely find plenty of satisfaction with our 2019 Jeep Grand Cherokee! If you are someone who likes to arrive in style and drive with a commanding presence out on the road, there’s no better car than the 2019 Ram 1500– one of the most popular and widely acclaimed models in its segment. The sleek, cutting-edge Ram 1500 allows you to experience a unique balance of captivating looks, premium interior features and breathtaking performance without sacrificing anything! Or perhaps you’re looking for something else from your ride? Feel free to browse our online inventory and you may find what you’re searching for. Or you can take the short drive to our dealership and one of our friendly and informed staff will listen to your needs and walk you through all the possible options based on your budget. They will work with you every step of the way until you find the perfect Chrysler Dodge Jeep Ram that you want! Learn more about the different Chrysler Dodge Jeep Ram cars for sale near Mt. Greenwood that are ready to cater all your needs and budget by calling Mancari’s of Oak Lawn at (833) 372-9600 today! You can enjoy guaranteed savings and reliable performance from Certified Pre-Owned Vehicles available at Mancari’s of Oak Lawn today! If you want a Chrysler Dodge Jeep Ram dealer near you that allows you to save more and sacrifice less, Mancari’s of Oak Lawn is ready to help with our certified pre-owned vehicle offerings. Low mileage, carefully hand-picked, and put through a stringent multipoint inspection and refurbishment process that’s carried out by Trained Technicians, certified pre-owned(CPOVs) from our lot can still deliver reliable performance and safety out on the road for a price that’s considerably less than a brand new vehicle! Explore all of the CPOV’s available at Mancari’s of Oak Lawn and how you can secure them through our dealership services by calling (833) 372-9600 today! Experience the best from your Chrysler Dodge Jeep Ram with Mancari’s of Oak Lawn and its top-notch Auto Maintenance and Repair Service! If you need a Chrysler Dodge Jeep Ram dealer near Mt. Greenwood who has what it takes to keep your vehicle in the best possible condition, Mancari’s of Oak Lawn is ready to help! From multi-point inspections, oil, and tire changes, to necessary repairs and replacements, we have a great service department that employs a team of highly trained and experienced technicians armed with the most advanced tools and equipment in the industry ready to bring out the best version of your Chrysler Dodge Jeep Ram! What’s more, we offer authentic Chrysler Dodge Jeep Ram parts and accessories alongside budget-saving discounts and special deals! Enjoy plenty of years of breathtaking performance and uncompromised use from your prized Chrysler Dodge Jeep Ram or get parts for a lower price by calling our Service and Parts replacement center at (833) 372-9601 or (708) 377-5839 now!